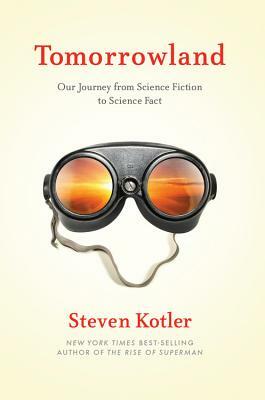 New York Times, Wired, Atlantic Monthly, Discover bestselling author Steven Kotler has written extensively about those pivotal moments when science fiction became science fact…and fundamentally reshaped the world. Now he gathers the best of his best, updated and expanded upon, to guide readers on a mind-bending tour of the far frontier, and how these advances are radically transforming our lives. From the ways science and technology are fundamentally altering our bodies and our world (the world’s first bionic soldier, the future of evolution) to those explosive collisions between science and culture (life extension and bioweapons), we’re crossing moral and ethical lines we’ve never faced before. Join Kotler in this fascinating exploration of our incredible next: a deep dive into those future technologies happening now—and what it means to be a part of this brave new world. Steven Kotler is a New York Times bestselling author, award-winning journalist, and cofounder and director of research for the Flow Genome Project. His books include the nonfiction works The Rise of Superman, Abundance, A Small Furry Prayer, and West of Jesus, as well as the novel The Angle Quickest for Flight. His work has been translated into more than thirty languages. His articles have appeared in more than sixty publications, including the New York Times Magazine, the Atlantic Monthly, Wired, GQ, Outside, Popular Science, Men's Journal, and Discover. He also writes Far Frontiers, a blog about technology and innovation for Forbes.com, and The Playing Field, a blog about the science of sport and culture for PsychologyToday.com. He lives in New Mexico with his wife, the author Joy Nicholson.